We're looking for a Long Term Volunteer! We have a Long Term Volunteer position available, which runs from 1st April until 15th July 2018. 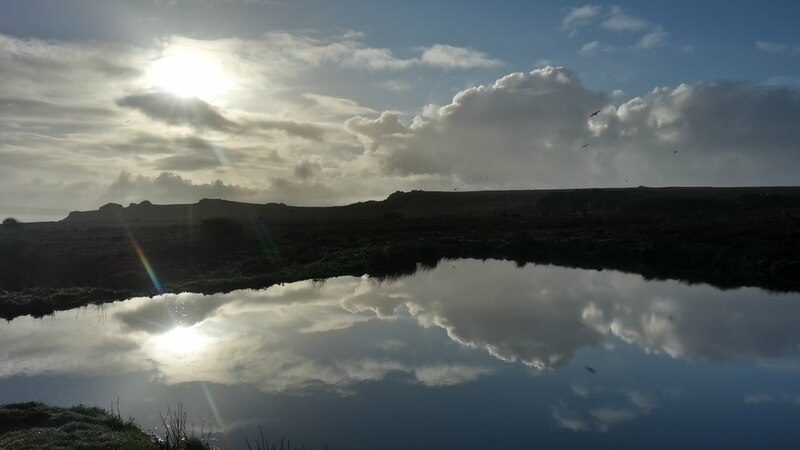 The Long Term Volunteers will become an integral part of the island team and will be involved in all aspects of the running of the National Nature Reserve. 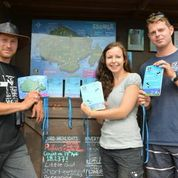 They will be welcoming guests and giving welcome talks, conducting various species surveys (including seabird monitoring and seal monitoring in the appropriate seasons), helping to keep the visitor accommodation clean, carrying out general maintenance all over the island and undertaking their own research project whilst on the island. Our Long Term Volunteers have the opportunity to get involved with all aspects of island work including counting seabirds from the island boat. Hopefully this blog will give you an insight into what it’s like to be a Visitor Officer on Skomer Island, from its challenges through to some of the best and most enjoyable years of my life. 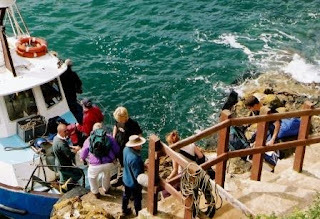 Day to day work plans can be quite variable but it usually consists of welcoming the overnight guests to the island and settling them in, making sure day visitors get onto their designated boat home, updating social media and keeping on top of office work. There’s also a big element of being self-sufficient on the island and it’s really important to be able to fix things when they inevitably do go wrong and so some of your days will be devoted to maintenance. This maintenance can be from fixing leaking toilets and blocked drains, right through to broken door handles and a struggling tractor. Every evening finishes with bird log which is an opportunity to sit down with guests, volunteers and staff and record all of your sightings for the day. Your season starts at the end of February when you move out to the island with the Wardens and Assistant Warden, at the first available weather window. I always find it an incredibly exciting time, filled with apprehension of what damage the winter has inflicted, but more importantly what the wildlife is doing and what birds have been wintering on the island. Your attention soon turns to the hostel and setting it up for the coming season. This is where you see your hard work in the previous autumn come into fruition and hopefully it should be a relatively straightforward job. Something will inevitably break, however, and it’s up to you and the team to fix it. It’s also time to get the fire on to dry the buildings out. Opening day comes around quickly and is always an exciting day to not just welcome the first guests of 2018 on to the island but also to see old faces again. Running the hostel means that usually your guests are on the first boat of the day and you’ll give them a hand to the tractor with their luggage, give them a quick introductory talk at the landing and send them off ahead to meet you at the hostel in a short while. Once at the hostel you’ll give them a more in depth welcome talk consisting of hostel housekeeping but more importantly, wildlife sightings. One of the most important parts of the job is to keep guests up to date with sailings and if the weather is going to affect their stay. Close contact also needs to be kept with the boatmen and Wardens regarding this. The hostel is now full and bookings have been sold out since October and there can be up to 16 people changing over most nights. The tractor is at capacity and the baggage becomes heavier with the weight of photographers lenses. 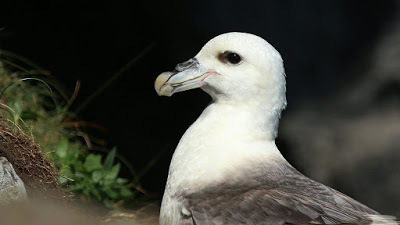 As a team you’re trying to balance your usual workloads with high visitor numbers and also counting the seabirds, anything from Gulls through to Manx Shearwaters, your help with this will be appreciated and to me is one of the biggest perks of the job. It can mean long hours, but it is great fun and is hugely rewarding. Visitor numbers tend to drop off at the end of July and pressure eases as the monitoring work also slows down and attentions will soon turn to seals which can start pupping as early as the end of August. We run a series of events in August and September, and that can mean you’re either on the beach rockpooling with families staying in the hostel, going through moth traps with visitors, or you’re taking guests out on a guided night time walk as part of Shearwater Week. It’s always important to run these events to the highest standard making sure everyone has a safe and enjoyable time. 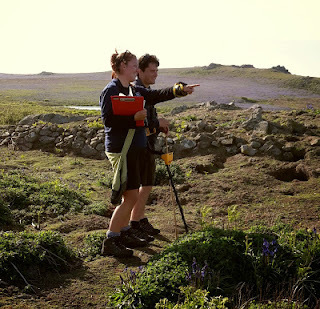 Skomer closes to visitors at the end of September and although you’ll be sad to see visitors and researchers go, it’s an opportunity to catch up on office work, maintenance of the islands buildings and to shut the hostel down. You spend a great deal of your time cleaning the hostel for the winter shut down and making everything storm proof. But there’s lots of fun to be had as well. One of my favourite times on Skomer, bird migration is at its peak with hundreds of birds pouring over the island on an ideal day and it’s a time to get involved with seal monitoring. Your last day is normally only a vision until the weather window you need to get off the island appears. Winter gives you a great opportunity to take all of your unused holidays and take a break from island life. You spend between three and four months on the mainland and depending on how much holiday you have left, it’s an opportunity to spend some of the time in the sunnier climes of the southern hemisphere, I spent a month in New Zealand in my first winter for example. During the winter you will need to write your annual report, recruit Long Term Volunteers and set up and advertise events amongst other jobs. Before you know it, February has come around and you start gearing up for the coming season and you’ll be waiting for a weather window to get back to that island you’ve been thinking about all winter. There’s flexibility within the role and you can get as involved with the wildlife monitoring and hands on conservation work as your time permits. Lots of people see it as a quiet place but it is far from it, and the constant flow of visitors, volunteers and researchers make it a really vibrant place. You are supported by a fantastic group of people, not just on the island, but also locally on the mainland and also within the Wildlife Trust of South and West Wales. Skomer will always remain a special place for me, but for now, I must move on. Leighton, now the ‘old’ Visitor Officer. The Wildlife Trust of South and West Wales are looking for a Skomer Visitor Officer. Pay: £16,000. Accommodation is provided for up to nine months of the year. Permanent contract, with flexible hours. Based on Skomer Island for up to nine months of the year. Summer working hours can be up to 48 per week. Accommodation and bills (apart from food) are covered whilst on the island. The applicant is expected to secure their own winter accommodation. To market, deliver and improve the overall visitor experience on Skomer Island, including overnight and day visitors. Developing a programme of events and conducting guided walks etc.